Check out this wicked Photoshop Tutorial posted on 10MinuteDesign.com. 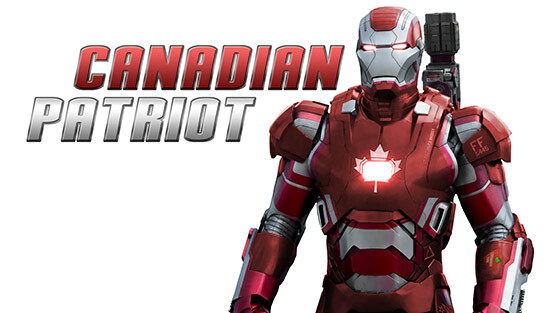 Some simple yet powerful photo editing techniques turn the Iron Patriot for Iron Man 3 into the Canadian Patriot! Pretty cool eh? Adobe Photoshop is such a powerful tool for editing photos and creating design masterpieces. Wether you’re simply designing a logo or a business card or editing a photograph and creating really cool images, there is really no other tool but Adobe Photoshop. If you would like to learn Adobe Photoshop, you can check more awesome tutorials at 10 Minute Design.